I swear these pictures are not fake. I grew baby corn in my back yard, and it was easy. 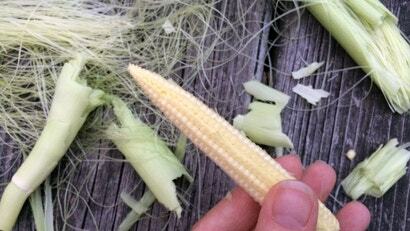 All you have to do, to grow baby corn, is fail at growing real corn.